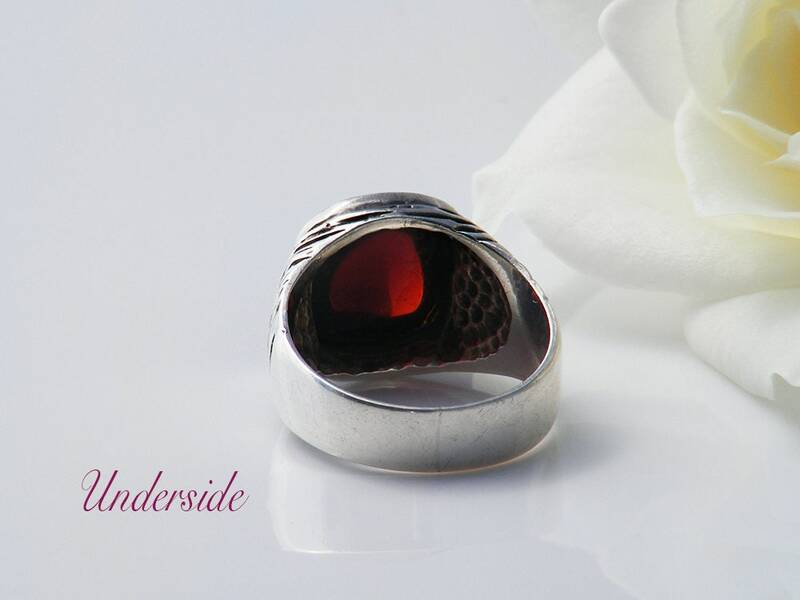 A small size garnet pinky ring that makes big statement! 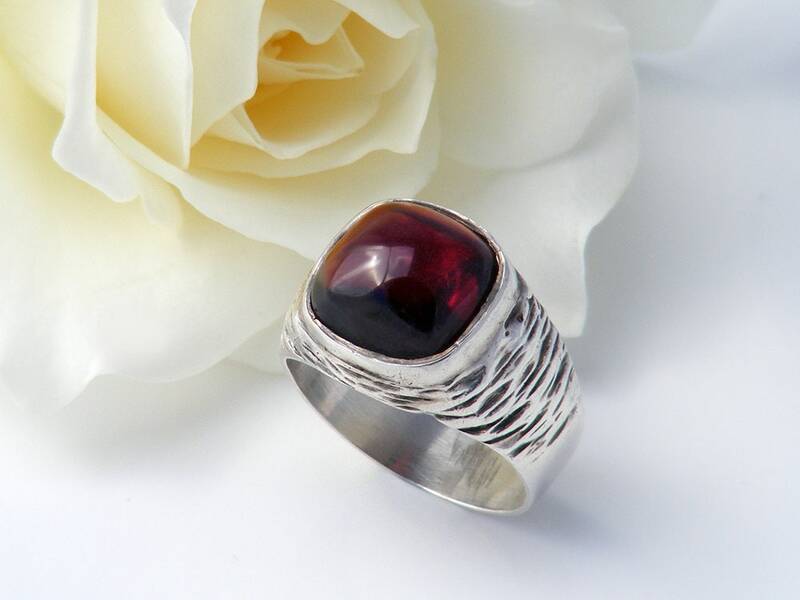 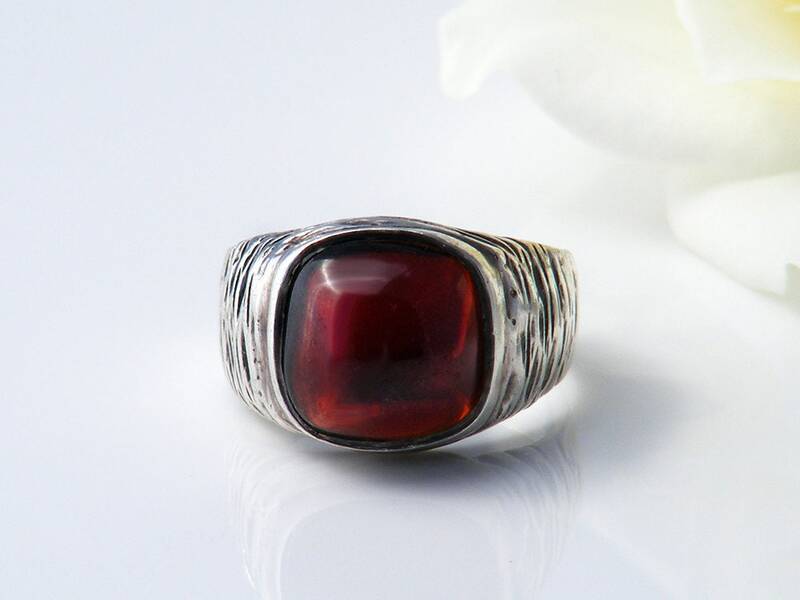 Made in the 1960s in sterling silver textured with the modernist 'bark' pattern popular at the time, the ring features a large and very beautiful garnet cabochon flashing crimson with change of light. 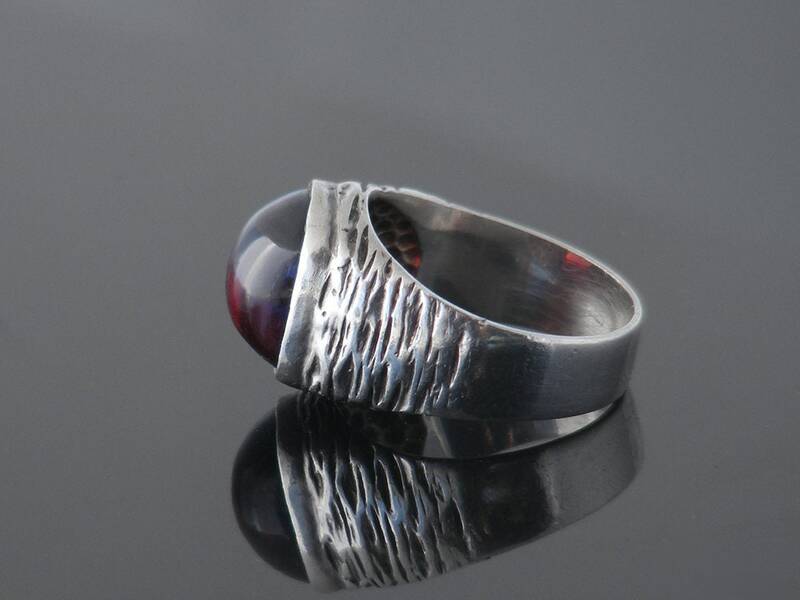 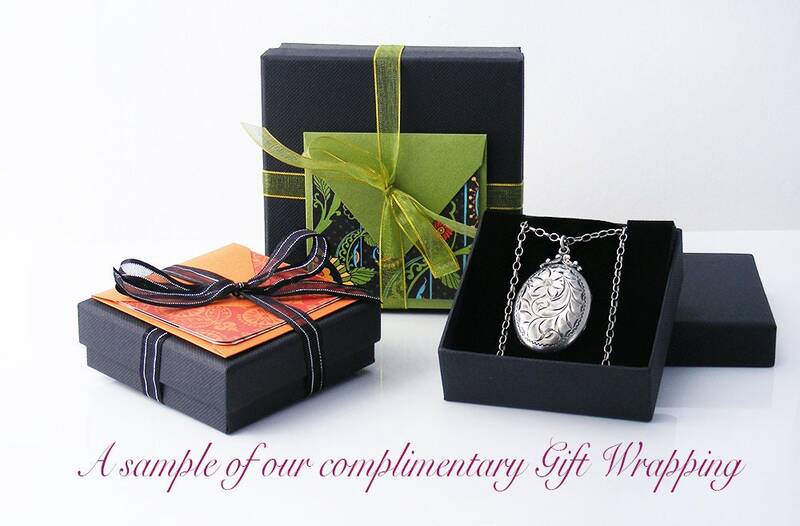 Sterling silver, unmarked, tested and guaranteed as such - the silver stamp appears to have been lost with re-sizing. 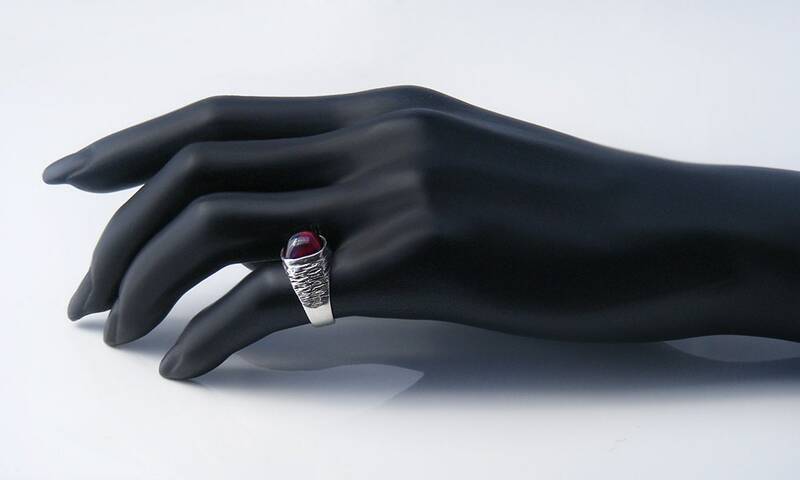 A statement ring for a small finger is a rare find and this one ticks all the boxes - a very glamorous ring.